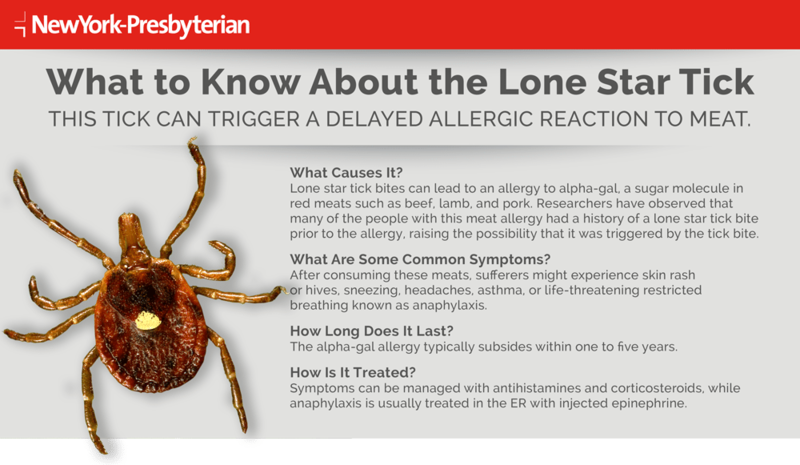 With a new tick in town, the East Asian, and another that can cause a meat allergy, the Lone Star, our experts offer a guide for the season. Come summertime, most folks take steps to protect themselves against sunburns, but in the Northeast and other areas of the United States, there’s another concern facing those who enjoy the outdoors: Lyme disease spread by ticks. Each year, approximately 35,000 confirmed and probable cases of Lyme disease are reported in the United States, according to the U.S. Centers for Disease Control and Prevention. But that figure likely represents a mere 10 percent of the actual number of new cases annually, which the CDC estimates to be between 300,000 and 350,000. Reported cases of Lyme disease are on the rise. Known cases have increased 30 percent over the past decade. The good news: Though ticks are a yearlong threat, and new species are being detected, there are ways to prevent the bites that can lead to Lyme disease. These include wearing proper clothing and using protective sprays when in tick-prone areas, understanding which parts of the body ticks gravitate to, and being aware of the symptoms that indicate a possible Lyme diagnosis. To learn how to protect you and your family, Health Matters spoke with Dr. Brian Fallon, director of the Lyme and Tick-Borne Diseases Research Center at Columbia University Irving Medical Center, and Dr. Rafal Tokarz, associate research scientist at the Center for Infection and Immunity at Columbia University’s Mailman School of Public Health. Why is it so important to protect yourself against ticks? Ticks, which are very small and hard to detect, can carry a variety of diseases. The most prevalent tick in the New York area is the black-legged tick, also known as the deer tick, and the main carrier of Borrelia burgdorferi, which causes Lyme disease. If left untreated, Lyme disease can cause an infection that spreads to the joints, the heart, the connective tissue, and the nervous system, and can lead to debilitating long-term pain, cognitive problems, and fatigue that persist among some patients even after antibiotic therapy. What can you tell us about this new tick, the East Asian tick, that has turned up in the New York area? The East Asian tick, which is commonly found in China and Japan, has been found in parts of rural New Jersey. 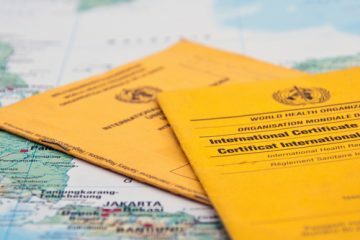 While it has been known in other countries to carry microbes that cause animal and human diseases, there are no reports that the ticks found in the United States are infected with any pathogens. They appear to mostly feed on livestock, and there hasn’t been any indication of humans or animals becoming sick because of this tick. These images show a magnified adult, female black-legged tick before and after feeding. Before feeding, the tick is about 3 mm, or the size of a sesame seed. After, it is about 9 mm, or the size of a raisin. Tick nymphs are slightly smaller, about 1 mm before feeding, or the size of a poppy seed. When are people most at risk of a tick bite? People are most at risk of tick bites in May, June, and July, when larva ticks begin to mature into the next life stage, known as nymphs. Nymph ticks are tiny, about the size of a poppy seed, are very hard to spot, and they are on the hunt for blood to feed on to survive. Adult ticks, the next life stage, are about the size of a sesame seed. They come out in the fall and also need blood to survive, but because of their larger size, which makes them easier to spot, coupled with less outdoor human activity, they are responsible for only about 10 percent of Lyme disease. Then are we in the clear after the summer? No. The life cycle of black-legged ticks is two years and they live through the winter, though they are far less active at that time of year. If the daytime temperature rises above 45 degrees, ticks may emerge to feed. If you take a walk through woods where ticks are prevalent on an unseasonably warm winter day, be sure to check yourself, your kids, and your pets for ticks. How can being bitten when enjoying the outdoors be avoided? If hiking, stay on the path and don’t walk through leaf foliage or high grass. Ticks don’t jump on people like fleas, says Dr. Tokarz. They’ll stick out their front limbs in the air and grab on to whatever brushes by. If you plan on being in a wooded, leafy area, you can spray your skin or clothes ahead of time. Permethrin is a terrific spray for your clothes that you can find in an outdoor gear store, says Dr. Fallon. It not only repels ticks but also kills them. If you spray it on your clothes at the beginning of tick season it will stay on for 20 to 40 washes, so it’s a good thing to do to help protect you and your children. For your skin, he suggests repellent that contains 20 to 30 percent of either DEET or picaridin, or repellent containing 30 percent of oil of lemon eucalyptus. What kind of clothing should be worn when in a potentially tick-infested area? Tick nymphs are about the size of a poppy seed and dark brown, making them very difficult to spot. Dr. Tokarz suggests wearing light-colored, long-sleeved shirts, and pants, which should be tucked into your socks. If you see a tick on your clothes, simply brush it off. How should we check for ticks? After you’ve gone camping or hiking or spent time gardening or mowing the lawn, do a thorough tick check. It’s important to check your hair, around your groin, your underarms, and behind your knees. The number-one advice for parents, Dr. Tokarz says, is to take off kids’ clothes and put the items in the washer and dryer to kill any ticks before performing a tick check. Try to keep your pets from roaming in areas where ticks may be present. If they do, perform a thorough tick check, the same as you would do with children. If your pet is bitten and contracts Lyme, it can be treated with common antibiotics. Use tweezers to gently remove ticks. The CDC recommends pulling upward with steady, even pressure. Don’t twist or jerk the tick, and don’t use petroleum jelly or a match to burn it off. If you pull the tick’s body off and the head stays on, that’s OK. It might itch for a few days then the head will detach on its own, but it doesn’t increase the risk of acquiring any diseases, says Dr. Tokarz. Once you have removed the tick, thoroughly clean the bite area and your hands with rubbing alcohol or soap and water. Are there signs that someone might have Lyme disease? A myth about Lyme disease is you’ll have an easily identifiable rash with a bulls-eye shape in the middle. That’s not always the case. The initial rash that indicates a tick has bitten you and transmitted the Lyme bacteria looks like a bulls-eye or target lesion only 10 to 20 percent of the time, says Dr. Fallon. More often it’s a solid rash that starts small and expands in size over a few days. There might also be no rash at all, or there may be multiple rashes. Also, be on the lookout for flu-like symptoms, such as a fever, stiff muscles, fatigue, and painful joints. Is a person more likely to get sick the longer a tick stays on? Yes. It’s best to remove the tick as soon as possible. If the black-legged tick, the species that carries the microbe that causes Lyme, is removed within 24 hours, you reduce the risk substantially of acquiring Lyme disease, says Dr. Fallon. The CDC notes that in most cases, the tick must be attached for 36 to 48 hours or more before the Lyme disease bacterium can be transmitted. 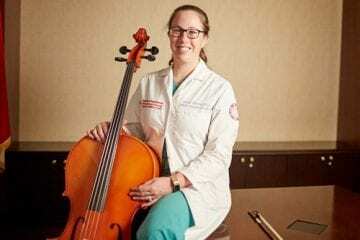 If the tick was on longer than 36 hours or if one feels sick after a tick bite of a shorter duration, it’s a good idea to see a doctor. If I get Lyme disease, is it treatable? Yes. Lyme disease is rarely fatal. Most often a doctor will prescribe common antibiotics, like doxycycline or amoxicillin, and a vast majority of the time a person will recover fully. Some people have an immune system strong enough to kill the bacteria without antibiotics, meaning even though they are infected, they will not show symptoms. 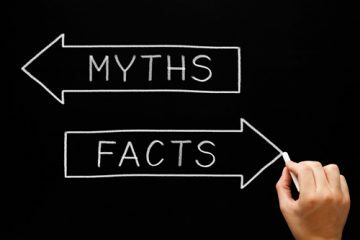 If a patient received antibiotic treatments but continues to have persistent symptoms, such as chronic pain, fatigue, or memory loss, after one course of antibiotics, the clinician should consider that the cause might be either persistent infection or a post-infectious cause that might require other treatment approaches. These symptoms can last for months to years, and can be quite disabling. Is Lyme the only disease people are at risk for if bitten by a tick? No. There are three main species of ticks to be aware of in the New York area: the black-legged, or deer tick, the lone star tick, and the dog tick. Distinguishing between each tick with the naked eye is challenging, but knowing which ones are predominant in the area is helpful if you have been bitten. Black-legged ticks are the most common, and these are the carriers of the microbes that cause Lyme disease, and less frequently babesiosis, anaplasmosis, and Powassan virus disease. The lone star tick, which until recently was primarily found in the South, has expanded its geographic range and is now found in the Northeast. The lone star tick may carry the microbes that cause ehrlichiosis, an infection causing fatigue, mild fever, and muscles aches, among other symptoms (leading to hospitalization in 40 to 50 percent of cases and fatality in 1 to 2 percent), or tularemia, a much rarer but quite serious disease characterized by fever, enlarged and painful liver and spleen, and often a skin ulcer. The dog tick is also endemic to the Northeast, and it is a carrier of Rocky Mountain spotted fever, a bacterial infection that, like Lyme and ehrlichiosis, can be treated with common antibiotics. While both Rocky Mountain spotted fever and ehrlichiosis are concerns, they appear far less frequently than Lyme. Can people reduce ticks around the home? If you have a lawn and shrubbery, keep everything neatly trimmed. Ticks like dark, moist spaces, so a cut lawn that gets lots of sun can reduce the number of ticks. Taking steps to keep rodents at bay will also help, says Dr. Tokarz. Can the tick population or Lyme disease be eradicated? Unfortunately, there is no good way to control the expansion of the tick population. The mice that carry the bacteria are abundant, creating a cycle in which ticks and Lyme disease continue to flourish. The best thing to do is be aware of where ticks may live, thoroughly check for ticks after spending time in wooded or leafy areas, and seek medical attention if you suspect you have symptoms of Lyme disease. Is it true there’s an effort to vaccinate the mice that carry the Lyme bacteria? There is a company that’s coming out with a vaccine for mice. The vaccine is in a pellet that you spread on the ground, and when the mice eat the pellets they become vaccinated and cannot spread the Lyme bacteria to the ticks. Dr. Fallon says it’s a very promising development, noting that the vaccine would be a helpful, additional tool for overall prevention. No single thing solves the problem of Lyme disease, but together they reduce the risk.